Shadow - Directed by Tactic Productions. Mercy. It’s a concept musicians only have a passing familiarity with, since they are only rarely afforded it. But they know the drill going in. Once you decide to become a musician, you’re stuck for life. You’re always a musician, whether you’re kicking out the jams or breaking up the band, whether you’re awaiting the next high or weathering the latest low. That’s the way it goes. That is your burden. That’s how Vaden Todd Lewis, former frontman for the platinum-selling Toadies, found himself on a plane bound for Seattle and a new start. That’s how Taz Bentley, former stickman for psychobilly faves the Reverend Horton Heat, found himself next to Lewis, offering that new start. But neither one knew what they were getting into. All they knew is that they were musicians, and playing music is the best way to deal with the highs and lows and everything in between. Bentley’s friends turned out to be Matt Cameron (Soundgarden, Pearl Jam), Kim Thayil (Soundgarden), Duff McKagan and Izzy Stradlin (Guns ‘n Roses). The duo cut four tracks in Seattle, and a new partnership was born — even though a band wasn’t just yet. 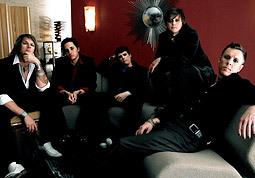 Back in Dallas, they kept writing and recording, inviting a revolving cast of characters into the studio to help them along, under the name Burden Brothers. 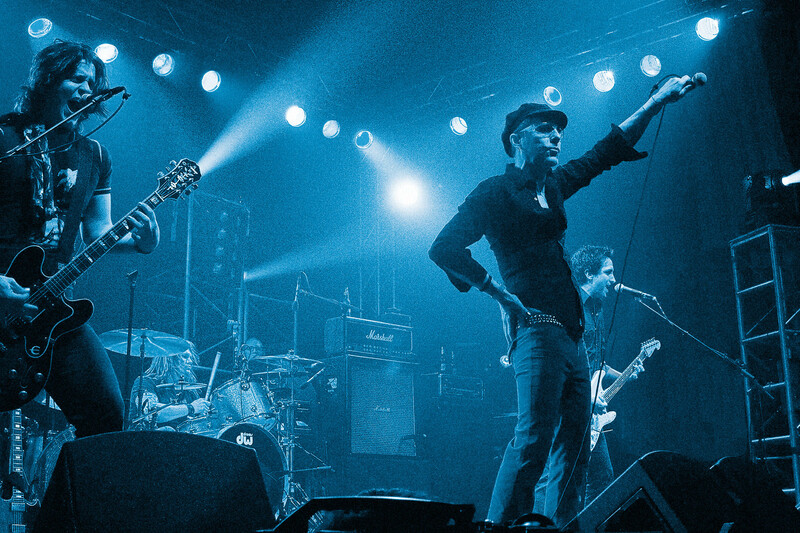 Though they wrote, recorded and toured, Burden Brothers weren’t an actual band until the release of Buried in Your Black Heart in late 2003. By then, guitarists Casey Hess and Corey Rozzoni had joined. 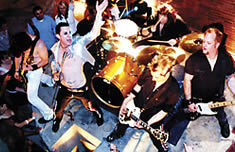 Good timing, too, since there was plenty of work to do: “Beautiful Night” and “Shadow” got tons of radio airplay all over the country which, in part, led to tours with the likes of Velvet Revolver, Papa Roach and Finger Eleven. With Hess and Rozzoni on board, the newly minted band was able to approach the follow-up to Buried in your Black Heart in a completely different manner, though the results are somewhat similar; both are swirling storms of music with only Lewis and Bentley as the constants. In the case of Buried…, however, that had more to with the personnel than anything else. For Mercy — which mixes and matches moods and melodies as easily as an iPod — the band had grown enough to do what great bands do: take chances. "My favorite records have always been the ones that took risks, that weren't afraid to try different approaches to a common theme,” Lewis says. “This is what we were going for with Mercy. We strove to cover a lot of ground between the loud and angry punch of 'I Am a Cancer' and the somber and wistful feel of 'Life Between.’ This kind of approach may surprise a few of our fans, but I think this is an album that they can listen to for a long time." Since Mercy’s path from concept to compact disc took more than a year, guided by Grammy-winning producer Joe Chiccarelli (the Shins, U2, Beck, Hole) in Los Angeles and David Castell (Blue October, Edie Brickell) back home in Dallas, Rozzoni’s summation is even more applicable: "It's like a good movie. It has its nice, sweet part; its deep, thought-provoking part; its dark, brooding part; it has the car chase. It's all there." He’s right. Mercy, with its songs about giving up on society and “finding out who you are at your core,” as Lewis says, has it all and then some. The album announces its differences from its more straightforward predecessor from the very beginning, via the bells and whistles (well, strings, actually) of “It’s Time,” which is closer to classical than classic rock. From there, Mercy pulls off a neat trick, managing to sound both like a well-programmed jukebox and a singular statement of purpose. Some songs show how tight the band has gotten in its relatively short time together (the back-alley strut of “Shine”; the bar-band poetry of “Everybody is Easy (We Sink/We Swim)”; the soulful snarl of “Still”). Others prove that Lewis’ knack for crafting radio-ready hooks has only deepened over the years (“Trick of Logic” and “She’s Not Home” have choruses that stick in your head like autopsy photos). But it’s the tracks that force the band out of its particular comfort zone — like “It’s Time” — that elevate Mercy: “Life Between” is a classic saloon song, something a savvy A&R man might have pitched to Sinatra back in the day; “In My Sky” shows every inch of Lewis (and the group’s) range, starting somewhere around bedroom folk and ending with a bomb crashing through the roof of that bedroom. In short, it’s the kind of record that justifies the existence of albums in an increasingly singles- and shuffle-play-dominated world. 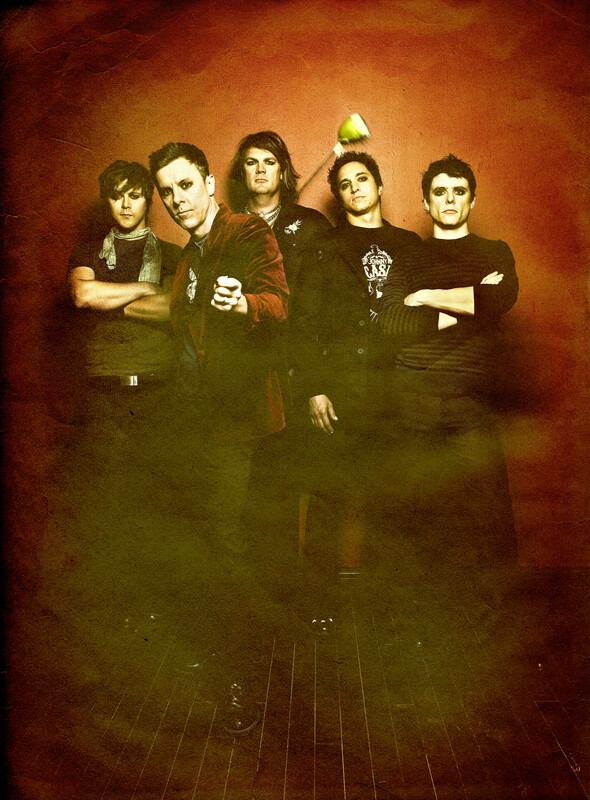 Now it’s time for Burden Brothers, with new bassist Zack Busby in tow, to hit the highways and byways to prove it. “It's what we live for,” Busby says. They are musicians, after all. 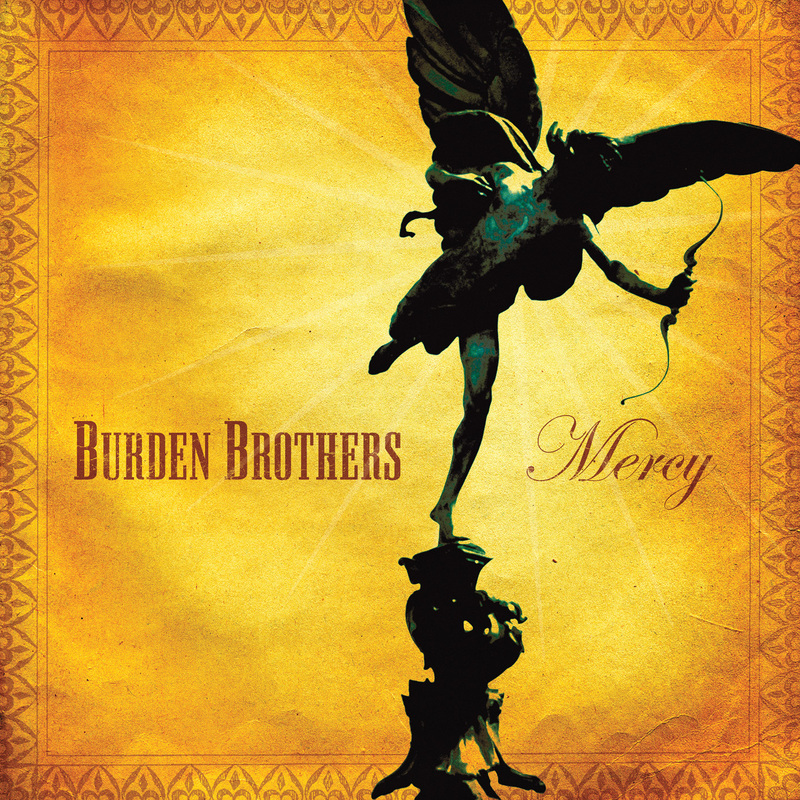 Burden Brothers’ Mercy, featuring the single, “Everybody is Easy (we sink / we swim),” is out now on Kirtland Records.